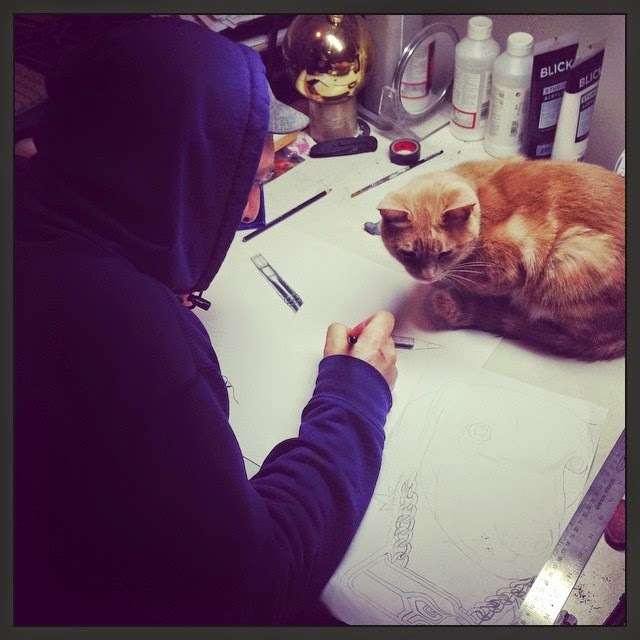 Here I am drawing up the new Bad Cat Portraits badge with Frankie, as always, supervising. 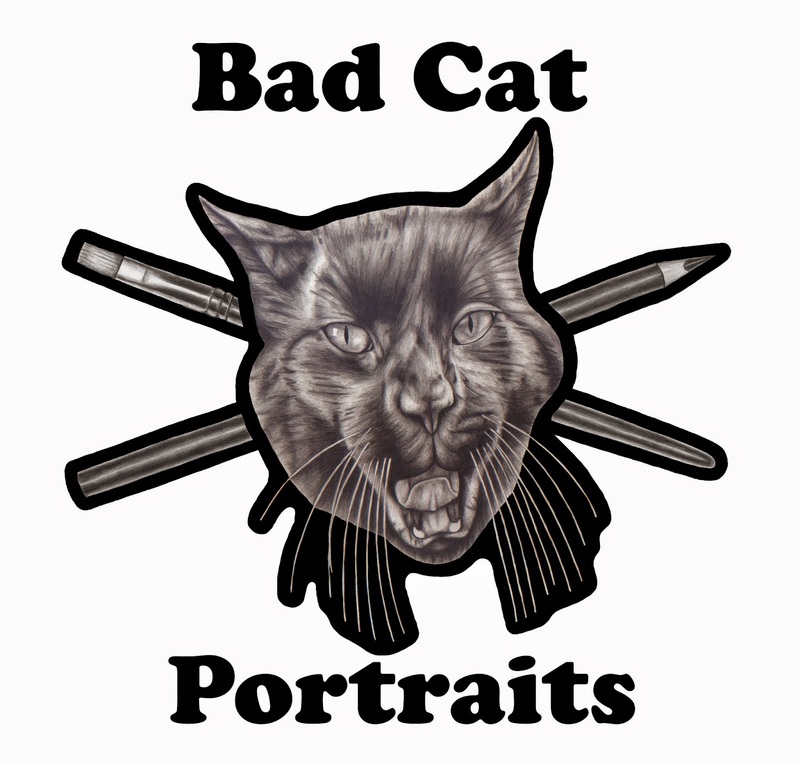 I designed a Bad Cat Portraits badge! 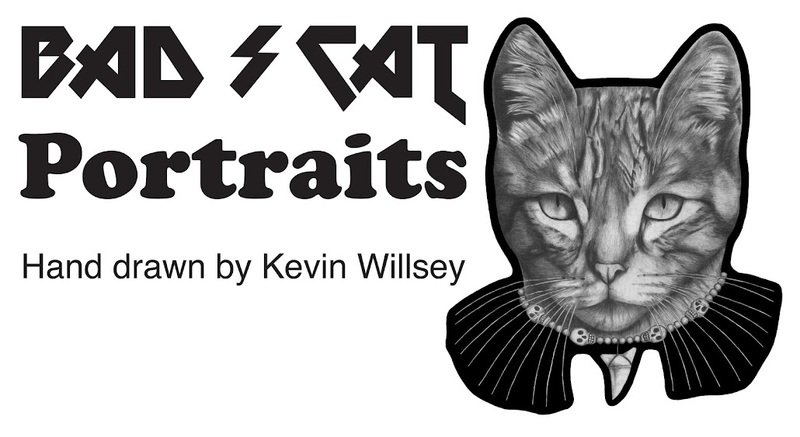 New dog portrait! It's Bailey. I have a new dog portrait finished. This dog is Bailey. 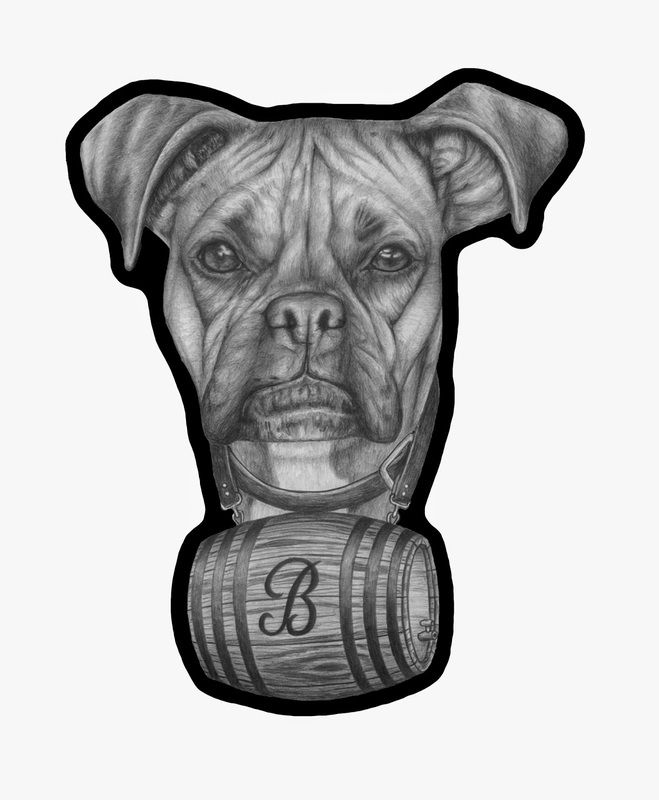 A dog doesn't need to be a St. Bernard to have bourbon at ready. Rest in peace Bailey. I have a new dog portrait on the drawing table. I'm taking it easy with a little help from Nugget Nectar on this Sunday. 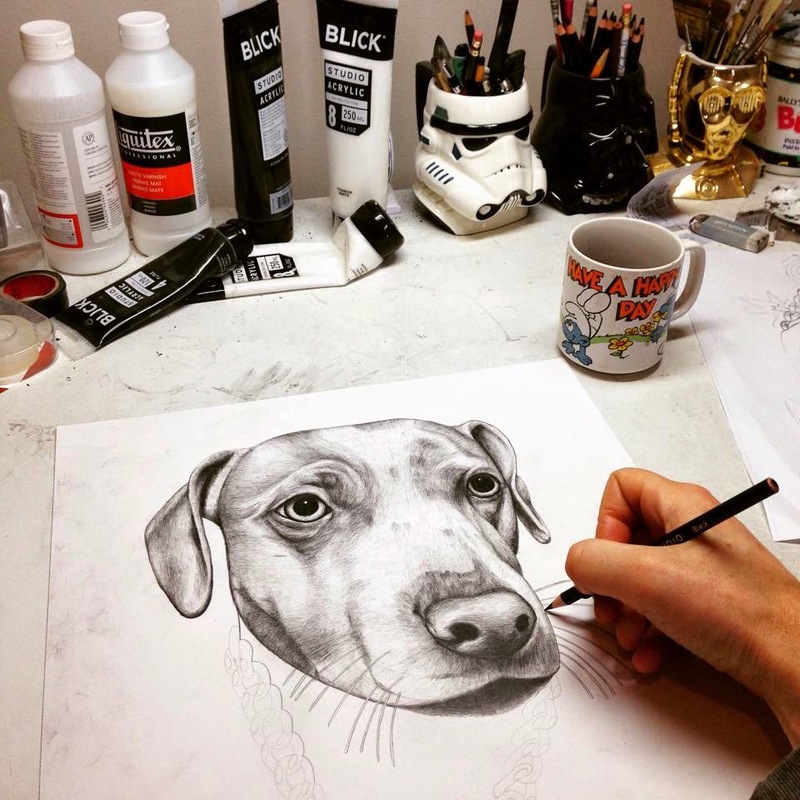 Here is a little animated video from start to finish of my last dog portrait, Larry Bird Dog. I finished a new dog portrait! This is Larry Bird Dog and she comes from Seattle! 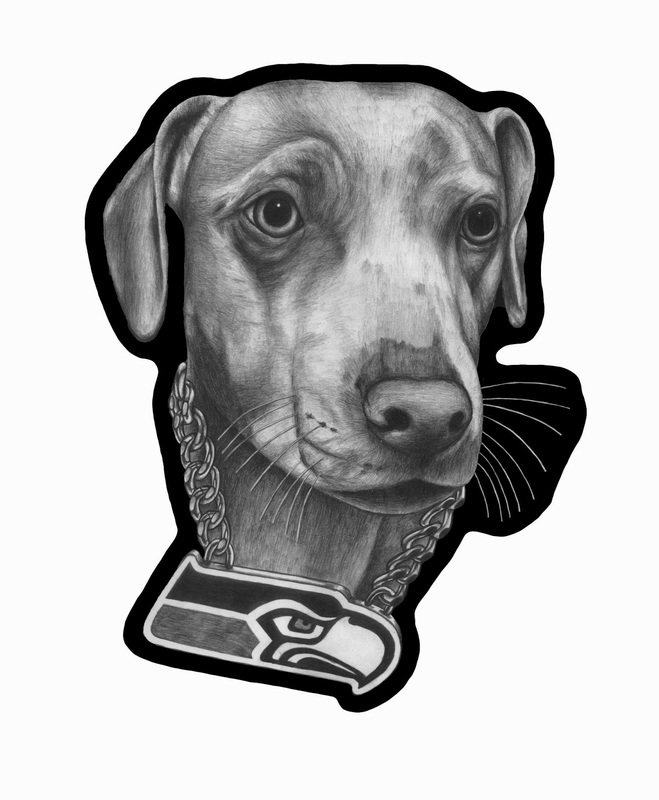 Larry Bird Dog is representing his favorite team, Seattle Seahawks. Go Hawks! (there's always next season). Have a happy day. Larry Bird Dog is on the drawing table. I'll have a neat animated edit of progression of this dog portrait when finished. Stay tuned! 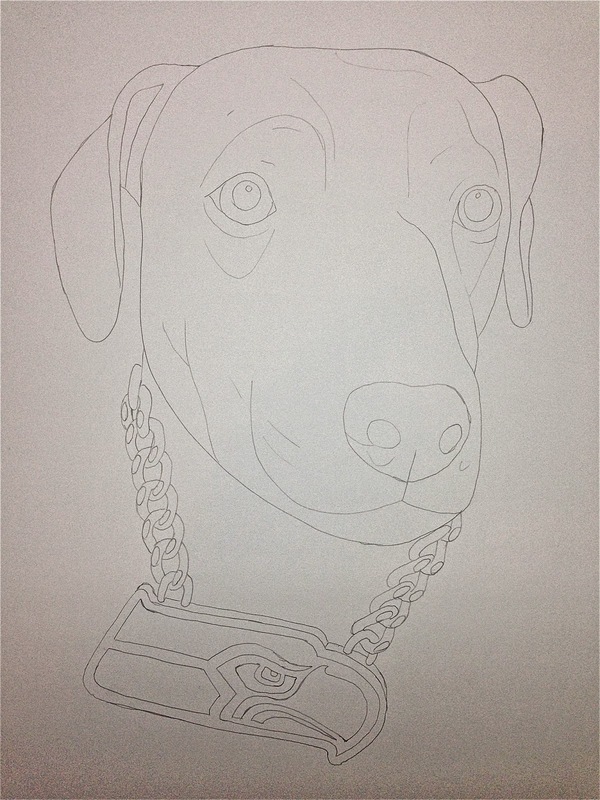 Larry Bird Dog is all sketched and on to the final paper. 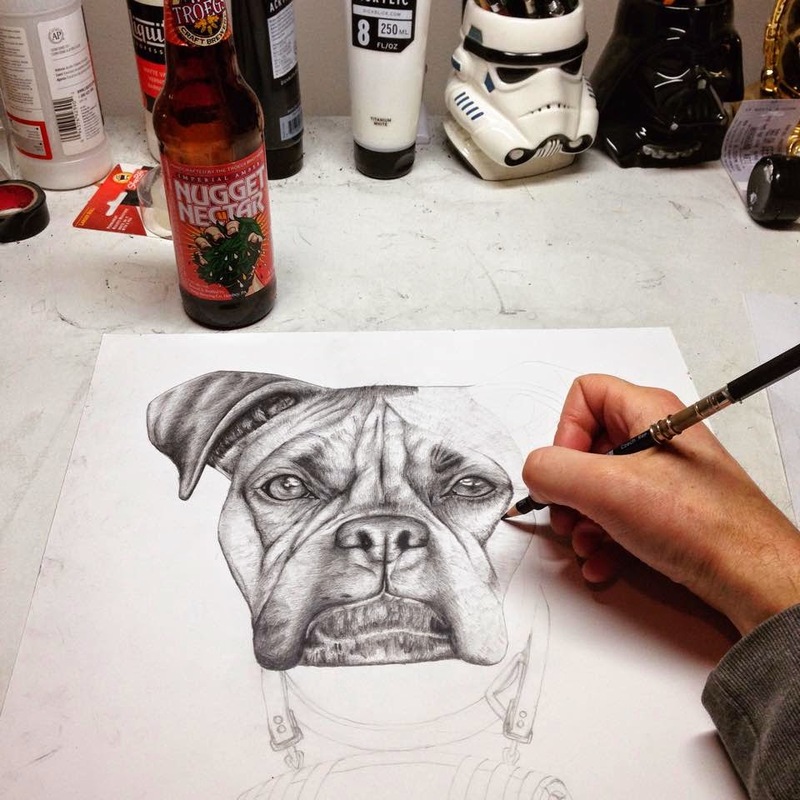 Stay tuned for the finished piece of this dog portrait!